Cool, crisp and herbacious with a lemony lightness. 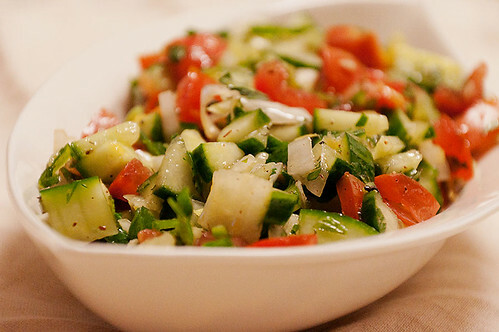 For this wonderful salad you'll need, tomatoes, onions, cucumber, garlic, serrano chilis, lemon, parsley, cilantro, mint, sumac, cinnamon, olive oil and salt and pepper. 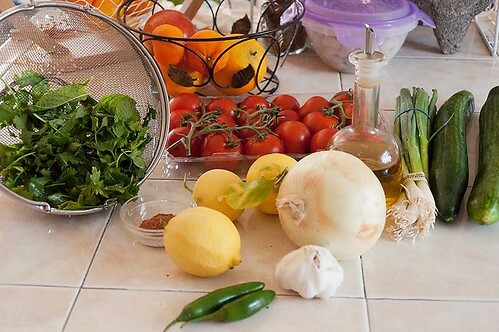 Chop all your veggies and herbs, add to a mixing bowl along with the lemon zest. pour over the chopped vegetables and herbs. 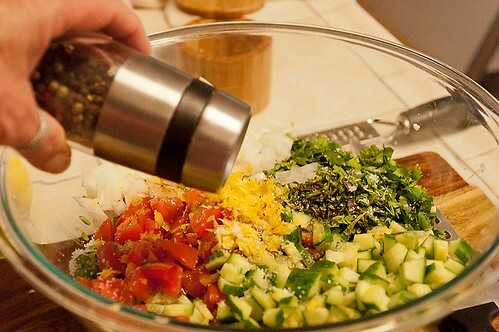 Add salt and pepper, then toss, toss, mix, mix. Eat as is, or with your favorite lettuce. I really like it with arugula or romaine. 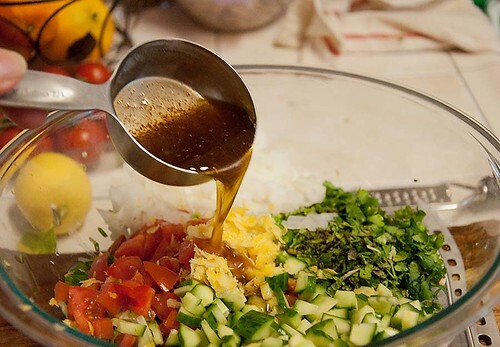 Of all the Israeli salad recipes and variations I've seen, this one has all the ingredients that are in almost all of them. 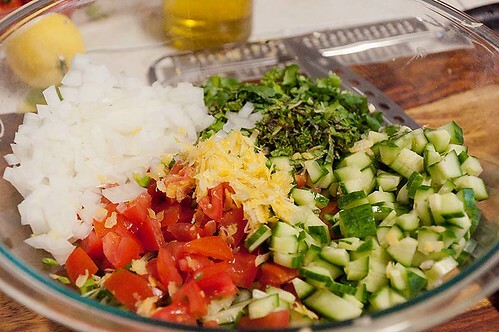 Mix all ingredients in a bowl. 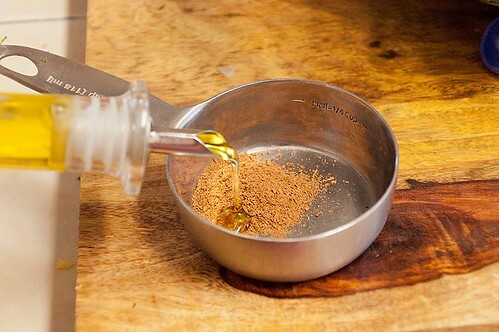 Let sit 20 minutes before serving.